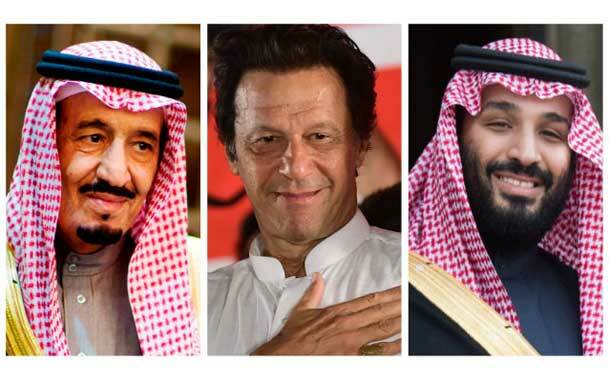 ISLAMABAD: The Saudi government has agreed to waive 2,000 riyals tax imposed on Pakistanis performing Umrah every year on the request of Prime Minister Imran Khan. According to a media report, the PM, during his visit to the Kingdom, had requested Saudi Crown Prince Mohammad bin Salman Al Saud to abolish the fee as Media reported. The development was shared by the Religious Ministry with the Senate Committee which met here Tuesday to discuss the problems faced by Pakistanis while performing Hajj and Umrah. Presiding the meeting, Senator Maulana Abdul Ghafoor Haideri said people had been complaining about the imposition of 2,000 riyals tax on pilgrims performing more than one Umrah within two years. On this, Secretary Ministry of Religious Affairs and Interfaith Harmony Muhammad Mushtaq informed the panel that Saudi authorities wanted to discourage repeated Umrah by a few people and that the levy was charged on everyone and not discriminatory towards Pakistanis. However, this fee was abolished on the request of Egypt and Turkey, the official added. The prime minister, he said, took up the matter with Saudi authorities and they agreed to waive it off and it was just a matter of time when they notify the policy. The Senate body also informed that the ministry was exploring the option of having open sky policy to airlift Government Scheme hujjaj to Saudi Arabia through open airline tendering. The secretary said currently the Civil Aviation Authority (CAA) has allowed only four airlines including Pakistan International Airlines (PIA), Shaheen Airlines, Air Blue and Saudi Arabian Airlines to airlift the pilgrims going to perform Hajj. The situation could improve through open airline tendering.He said that due to restriction of CAA, the Ministry can’t go for open airline tendering right now. Regarding Shaheen Airlines issue, he said the Ministry has written a letter to CAA to black list Shaheen Airlines. The ministry has also asked the concerned authorities to put the names of management of Shaheen Airline on Exit Control List (ECL). He said Shaheen Air was given the load of 30,526 hujjaj from different places of departure (PODs) for Hajj 2018 and as per agreement, the first instalment of 35 percent advance amounting to Rs 960,6912,00, was released to SAI out of a total of Rs 2,744,832,000. Shaheen Airline failed to provide the final flight schedule in given time period; as a result, the load of SAI was distributed amongst other airlines due to time constraint. Responding to a question, he said no other airline except SAI was ready to airlift 5,000 hujjaj from Quetta airport. The ministry suffered an additional loss of Rs 184,230,000. Shaheen Air International completely failed to act as per agreement. Shaheen Airlines did not have aircraft to land at Quetta Airport, he told.The Committee directed the Ministry to ensure distribution of Zakat share of erstwhile Federally Administered Tribal Areas (FATA) on priority basis. The chairman directed the ministry to share draft Hajj Policy 2019 with the Standing Committees of National Assembly and Senate for further improvements and incorporating Parliamentarian’s suggestions in the final Hajj Policy.